Keeping in mind the lifestyle and cultural sentiments of the Arab woman, Mariam Bin Mahfouz started her Jeddah based line of luxurious thobes and abayas in 2010. From sketching ideas at her dining table after realizing that there was nothing in the market that married tradition and culture with contemporary design, to establishing Sotra, where Mariam’s visionary aesthetic is bought to life. 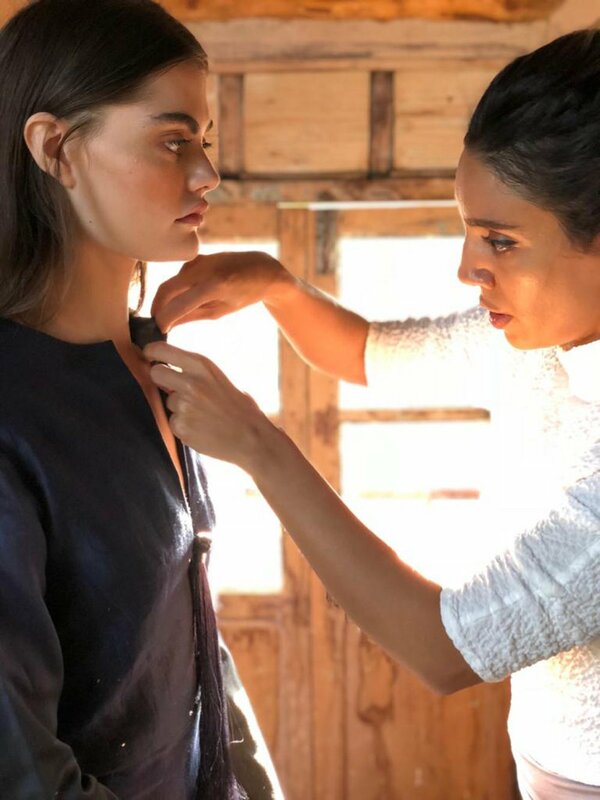 Sotra’s chic collections combine comfort and style with luxury materials and cutting edge design whilst maintaining the modest sensibilities apparent in Middle Eastern culture. 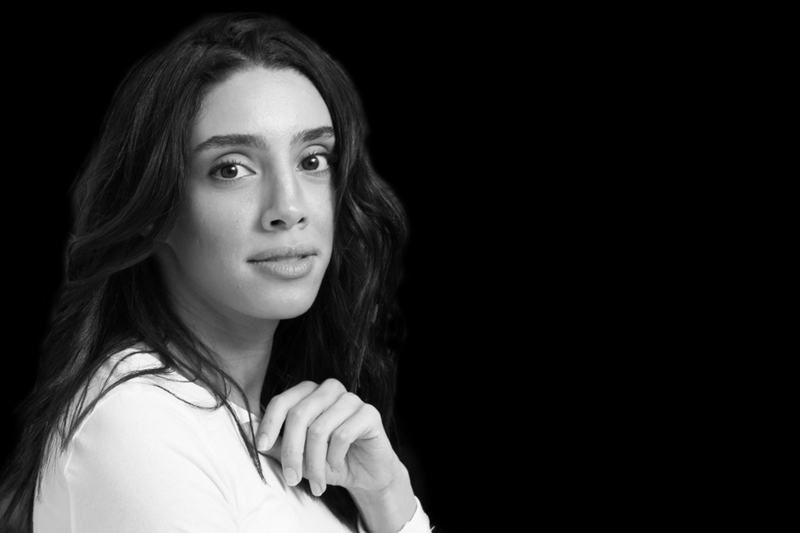 We caught up with Sotra’s founder, Mariam Bin Mahfouz to find out about what it takes to be a Saudi female entrepreneur, her hopes for the future of Arab women in the kingdom and where it all began for her. Tell us a little bit about Sotra, where did it all begin for you? Sotra started at my dining table at home after recognizing a major gap in the market. In our region we have specific needs. Dressing for a cocktail occasion is very different than what the western market interprets. We have certain occasions and seasons that do not exist elsewhere. I wanted to create these pieces for me. I wanted to create a local brand with international standards and offer an experience, rather than just a clothing article. Your SS19 collection boasts a beautiful variety of shapes and fabrics, what inspired this particular collection? This season I was inspired by Morocco. I find the mix of cultural influences there to be so fascinating. The architecture, the people, the landscape; it’s incredible. My design process is very organic. With the inspiration in mind I then move onto the textiles. I buy fabrics that I love and that intrigue me. Later on, in my studio, they start talking to me. I’m all about experimentation, I love the authenticity of this journey of creation. Modest fashion has taken the world's fashion industry by storm in recent years and high end European designers have taken notes and launched exclusive Ramadan collections specifically for the Middle Eastern market. What can we hope to see from your Ramadan collection this year and what will set it aside from others? I love designing clothes that are versatile, easy to incorporate into my client’s lives and serve them well. In addition to our contemporary kaftans that we continuously offer with every season, I created dresses that are perfect for an evening Ramadan look. I played more with details, like hand embroidered buttons as motifs on the side and backs of dresses or kaftans. We also utilized the use of lace in some looks to create more feminine, delicate dresses. The fabrics this season are divine. While all light and breathable, they are not less grand. We have two looks using very delicate cotton in an ombre wash, creating fresh takes on the traditional garment. Who is the Sotra woman? The Sotra woman is empowered, tasteful and joyful. She loves to live, appreciates good experiences and takes care of herself. This is something beautiful about our culture, that no matter how busy a woman is, she makes time for herself. Last year, Saudi Arabia saw its first ever Fashion Week take place, what are your expectations for the future of the Saudi fashion industry? I believe that fashion is part of art and culture. It shouldn’t be overlooked just as an economic aspect. We distinguish cultures and eras by the way they dress. I’m hopeful that it will gain more support from the government, empowering and pushing forward our rich and versatile culture. I’m hoping we will become more exporters of fashion, allowing an exchange to happen with the world. Being a Saudi woman, what challenges, if any, did you face when you were emerging as a designer and in wanting to make yourself and your brand seen? The regional market was very supportive since the label started. The challenges lay in a more technical aspects. For instance when we first started, there was no such a thing as creating a brand and having a small production. It was either having a tailor parlor or a factory. We managed to find ways around it. An ongoing problem is that although we were the first Sotra brand, in Saudi, they’ve granted a few other companies the same name which inevitably creates confusion to the consumer. What advice would you give to the Arab women who are striving to become entrepreneurs in their own right? To start, offer a great product or service and find your differentiation. Start small, research and consult those you trust. Growing up, who were the women that inspired you? There were incredibly tasteful women around me, and the men are no less fascinating. The 80s in Saudi Arabia were such exquisite times. There was a sense of simplicity and sophistication simultaneously. My mom, grandmothers, and aunts were all part of my journey. My mom and three of my aunts crocheted since as long as I can remember. Some of them used to sew their own clothes. I remember my mom would touch fabrics before buying anything, trying to breakdown the composition of the textiles because she only wore natural fabrics. And now with my brand, the composition of fabrics is so important. With Saudi Arabia being at a crucial turning point in the reforms that are being made to encourage gender equality in the Kingdom, what are your hopes for the future of Saudi women? Saudi women have penetrated every field a long time ago. The government always consented to equality. The difference now, is that it supports women in every field. So now with that supportive and enabling notion, I think the women will take what’s rightfully theirs with less of a fight. The sky’s the limit. Whatever she wants and works towards can be hers. Lastly, what empowers you as an Arab woman and entrepreneur? Waking up every morning in a safe country, amongst family and friends with resources at my fingertips. I’m blessed to have that ease of mind to work on what I believe in. Everything comes when safety, food, and shelter are not compromised. After that, it’s a choice to pursue your dreams.